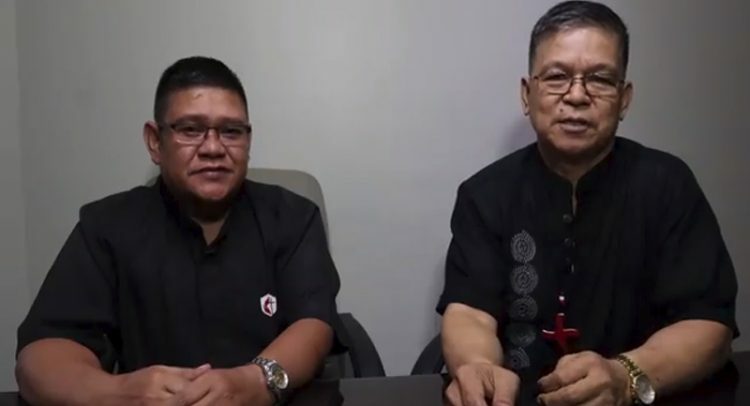 “Let our public outcry and pastoral concern be heard: a pastor who has chosen to follow Christ’s mission of social justice and embrace ministry with the poor has now found himself in danger,” says United Methodist Bishop Ciriaco Francisco of the Manila Episcopal Area. 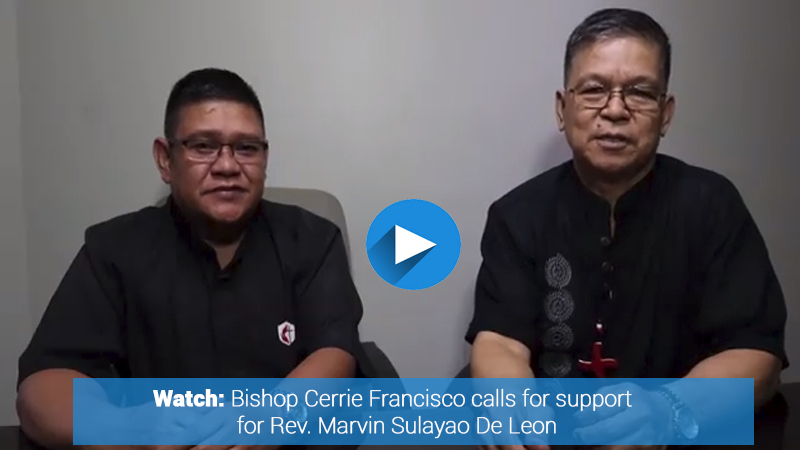 The Manila Episcopal Bishop encourages both church workers and the laity to keep up their faith, as they take part in relevant and contextualized ministry. “When God commanded us to love our neighbor, we were given a mandate to engage acts of compassion and acts of justice. These express our way of evangelism and sense of mission in the communities where we are called to serve,” adds Bishop Francisco. Bishop Francisco condemned the attempted murder on Rev. 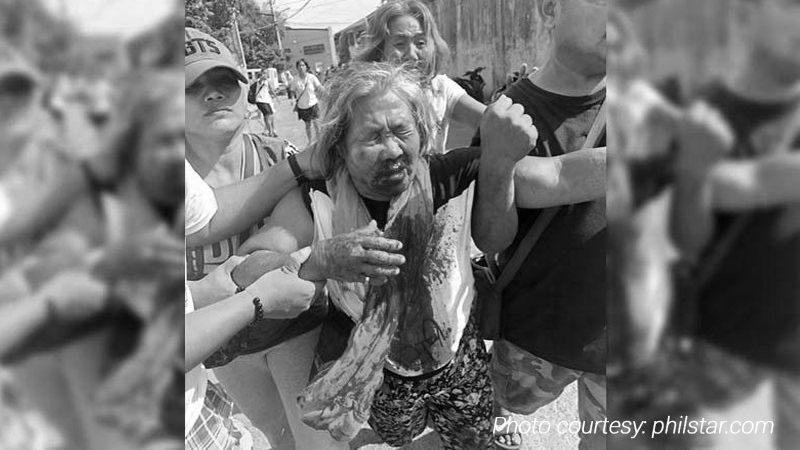 Marvin de Leon, a pastor of MC Navia Sr. Memorial UMC in Bulacan, as he narrowly escaped assassin gunfire on December 13, 2018. “Desperation and cowardice move those behind such murder attempts intended to harass and martyr a minister who has sought to faithfully fulfill his mission mandate as a pastor of the needy and oppressed. As a Church, it is our duty to proclaim good news for the poor by engaging practical programs for ministry with the toiling majority in the communities where we work. Rev. de Leon is simply exercising pastoral responsibility,” says Bp. Francisco. In addition to serving as a local church pastor, Rev. Marvin de Leon currently volunteers as the General Secretary of KARAPATAN, (Alliance for the Advancement of People’s Rights) of the province of Bulacan in Central Luzon. Rev. de Leon’s compassion for the poor and commitment to stand with them in their pursuit of better lives led him to become an active supporter of the workers of NutriAsia, the biggest producer of liquid condiments in the Philippines. When workers went on strike after 50 workers were terminated for protesting the dismissal of five union leaders and members in July 2018, Rev. de Leon was one of the ministers violently dispersed in the middle of their ecumenical prayers. In the second week of October, a man came to the church and introduced himself as a representative of the NSO (National Statistics Office). Rev. de Leon asked for his identification card, but the man only showed a driver’s license that Rev. de Leon could tell was fake. Rev. de Leon confronted the man telling him, “You are not a true employee of NSO. You must be an intelligence agent.” The man immediately departed and was picked-up by a companion riding on a motorcycle. On December 1, 2018 at approximately 9AM, Rev. de Leon noticed two men wearing helmets and riding-in-tandem at the front of his local church. They stared at the church for 5-7 minutes and then left. Rev. de Leon perceived that he was being harassed. Bp. Francisco expressed that an attack on church peopled is an attack against the teachings of the church to pursue justice, truth and peace. “We pray that these evil acts against the church will end. We do our ministries in obedience to our calling to care for the neglected, the marginalized, and those who made poor because of unjust systems. Our faith calls us to action. We are being attacked because we are taking the side of loving our neighbor. These attacks must stop,” said Bp. Francisco.